What Constitutes a Good Stove - Fuel Suitable for a Stove - Different Types of Stoves - The " Tortoise " Stove - Coal v. Anthracite-burning Stoves - The "Palace " Stove - The " Salamander "
Of closed stoves, suitable for ordinary domestic use, there is a multitude of patterns, each more or less efficient for its purpose. Simplicity and ease in management. Convenient means for replenishing the fuel. Efficient means for regulating the combustion. Well-fitted joints in the structure, and as few of them as possible. The outer casing should not reach too high a temperature when the stove is burning briskly. Good design in relation to appearance. In stoves designed to burn for many hours without replenishing, some means for clearing away the ash from the burning fuel should be provided. This is usually effected by rocking the firebars. Stoves in which the incandescent fuel is seen through mica windows are preferable, on the score of cheerfulness in appearance, and because it may bo seen at a glance how the stove is burning, and whether the fuel supply needs renewing. Although stoves are specially constructed for burning ordinary household coal, and may in certain circumstances be desirable, the majority are adapted for the use of coke or anthracite fuels, which have the advantage of being smokeless, and requiring less attention than coal. The closed stove is made in two principal types - what may be called the pedestal pattern, to stand away from the wall of the room ; and the grate, or flat back pattern, to stand against a wall or immediately before the ordinary grate. The latter is suited to rooms where the space is limited. The so-called hot-air stoves are constructed with means of circulating fresh air from outside through the body of the stove, whence it enters the room warmed. The "Tortoise" or " Eclipse " Stove is the simplest of all. 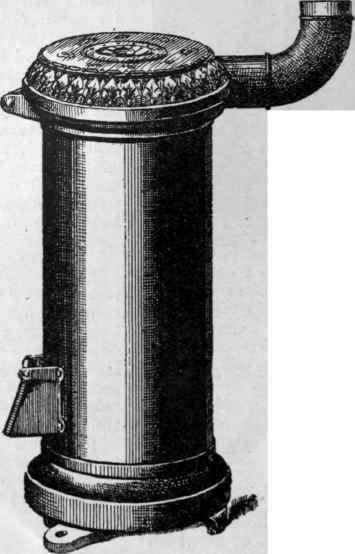 It consists of an iron cylindrical body lined with firebrick, having an adjustable air opening below and a feeding door and cover plate on top. The ashes are removed through the* air inlet. The construction is clearly shown in the illustration. These stoves are made in graded sizes, having a range of heating capacity from 1,000 to 40,000 cubic feet. In the smaller sizes they are neat in appearance, and quite suitable for halls and rooms, but where large heating capacity is desired a square-shaped stove better pleases the eye, and has other advantages. This type of stove is said to be suitable for any fuel, but coke or anthracite are best for household use. All coal-burning stoves are practically portable fireplaces, generally arranged so that the products of combustion, after leaving the fire back, are deflected downwards into a flue below the floor, so that an unsightly flue pipe is dispensed with. The grate is provided with a regulating air inlet, and doors to act as blower. Experts have urged strongly the use of such stoves in the interests of economy, stating that they give double the heating effect of an ordinary grate for the same amount of fuel consumed. 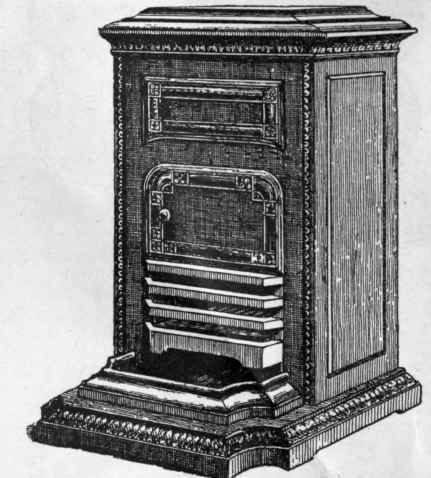 The "Palace," an excellent type of anthracite-burning stove. These stoves are listed by manufacturers as low as 16s. 7d. Anthracite is an ideal smokeless fuel. It is a natural coal of bright, clean appearance, and as supplied by the merchant is free from dust. It produces a small amount of clinker and very little ash. America produces fifty million tons annually, which is mostly consumed in that country for domestic heating. South Wales also produces an abundant supply of anthracite, fully equal in quality to the American. It is retailed in London in the form of nuts - the most convenient form for the stove - at from 26s. to 28s. per ton. Owing to its slow burning and great heat producing qualities it ranks high as an economical fuel, and is cheaper, heat for heat, than coal at ordinary rates. As it gives off practically no smoke it involves very little trouble from soot. Although, contrary to popular belief, anthracite will burn well in the ordinary grate, if the fire be first lighted with some ordinary coal, undoubtedly the best way in which to burn it is in a suitably constructed closed stove. The "Palace" is an anthracite stove of British design and manufacture, based upon the principles adopted in some of the better American and German stoves, but brought more into harmony with British ideas in the matters of shape and decoration. The fuel is placed in a capacious hopper in the top of the stove, from which it descends by gravity into the grate, which is a firebrick lined chamber, provided with a floor of iron bars, by which the heated fuel may be cleared of dust from time to time by the manipulation of a lever which mechanically rocks the bars. The stove casing around the upper part of the grate has mica windows. A pan receives the ashes. The draught is regulated by a damper working in the flue exit. This stove, when fully charged, will burn continuously for twenty-four hours, with only slight attention to the rocking lever. By an ingenious arrangement, the products of combustion are made to circulate around the stove casing before entering the flue, thus parting with a large part of their heat; or they may be given a direct exit to the flue, which is desirable when lighting up. This stove does not become unduly heated, owing to the large surface of its casing, and to the way in which the grate is isolated from it. 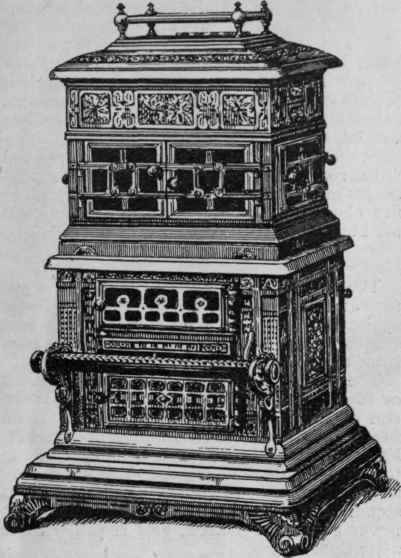 The "Palace" stove is, perhaps, the most efficient example of its type, but other stoves embodying like principles are sold under such names as the " Westminster " and the " Brilliant," which differ from it mainly in decorative detail. Salamander stove burns twenty-four hours continuously when charged with anthracite, and about twelve hours with coke. The fuel is fed through a door at the top into a hopper, from which it drops into the grate. A door with mica windows closes the grate opening. There is a removable ashpan, a rocking lever for clearing the fire of ash, and the air supply is adjustable. Hot-air stoves as already has been mentioned, are stoves designed to assist ventilation by creating an induced current of pure air from outside, which is heated in its passage through the stove casing without itself coming in contact with the fuel or products of combustion. The construction of such a stove represents the principle adopted by Musgrave. The fresh air enters the base of the stove, and, after circulating, around the chambers provided for it in the stove casing, passes out through grids. The supply of air for combustion is drawn directly from the room. In the " Shorland " or " Manchester " stove, the same result is obtained by conducting the fresh air through a series of pipes abutting on the flue exit, from which it finally passes out into the room through the stove top, as in the last example. These stoves are most efficient for the warming of large spaces, but would be unsuitable for small rooms. As hall stoves they are admirable. There is a bewildering variety of closed stoves, differing mainly in external appearance, and varying in price according to size and the amount of decoration applied to their casings. Purchasers will suit their own tastes and pockets in making their selection. 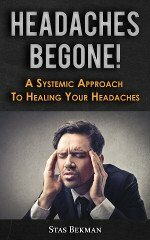 Without making comparisons, attention may be directed to two or three special types. Several patterns of stoves are designed with removable covers, so arranged that access may be had to the heated crown of the fire chamber, enabling the stove to be used for boiling a kettle or for other purposes. 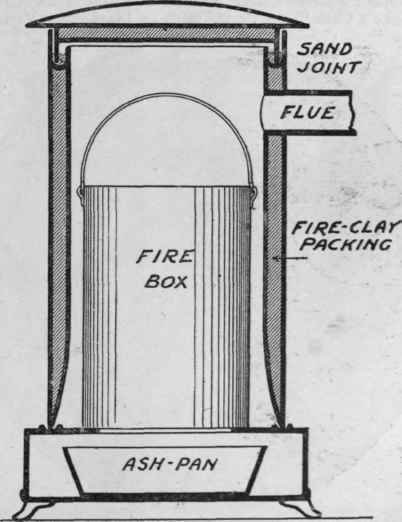 The " Roberts" stove has gained the approval of a famous authority on domestic sanitation, and has the merit of extreme simplicity of construction, as may be seen from the illustration. The double casing is lined with firebrick or terra cotta, and the top cover and lower rim of the casing have sand joints. The fire is contained in a removable bucket, having a grid bottom, and is lighted at the top and burns downwards. The air supply is adjustable. It burns ordinary hard steam coal or a mixture of coal and coke, never gets over-heated, and requires little attention.